We as Christians are born different...Born to STAND OUT! 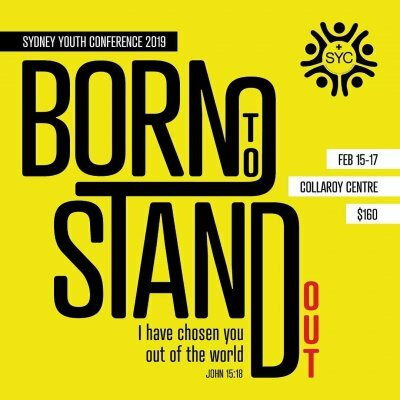 Get EXCITED for the biggest and bestest Youth Conference in 2019!! Sure to be one of the most AMAZING conferences ever! With a brand you look and feel, you have NEVER attended a conference like this before!